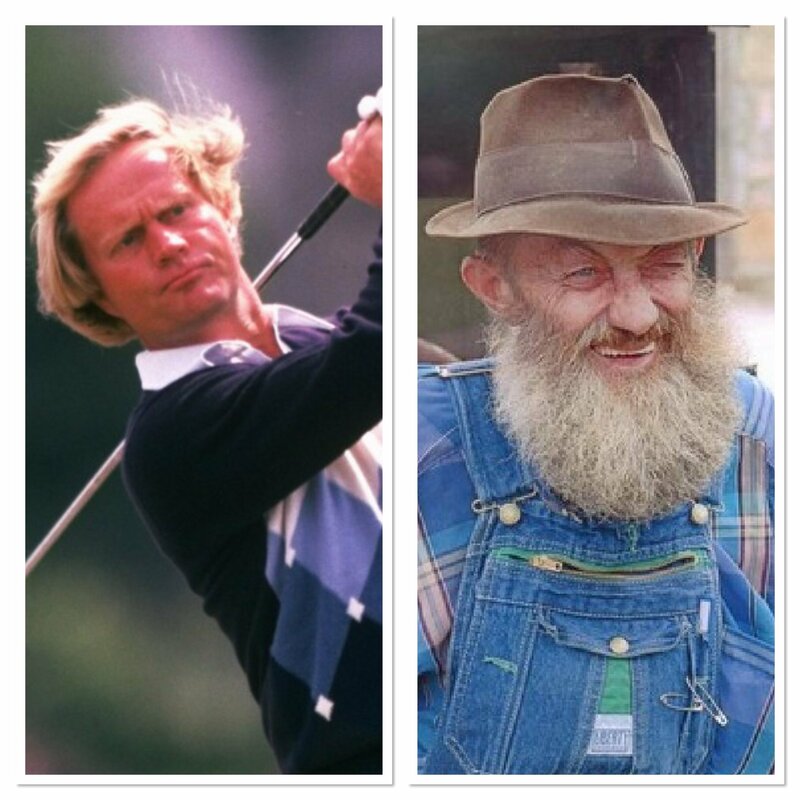 Jack Nicklaus and Popcorn Sutton exemplify excellence. Jack Nicklaus is to golf as Popcorn Sutton is to Moonshining; both are the undisputed best of all time. Nicklaus, the “Golden Bear”, was the best because he did not just dominate for a few years; he was consistent in winning the most majors a whopping 18 times and finishing runner-up 19 times. “We are what we repeatedly do. Excellence, then, is not an act but a habit,” says Aristotle, and this prophetic statement described Jack Nicklaus. Years back, in a critical golf tournament, an inquisitive psychologist used a stop watch to see how long it took Jack Nicklaus to pull his golf club out of the bag and hit the ball. Lo and behold, from the first green to the eighteenth hole the time never varied more than a second! The greatest golfer of all-time, Jack Nicklaus, like every other human being, is a creature of habit! Ed Coan, the best of all-time was a Zen master on the platform. Great free throw shooters make every free throw look the same. 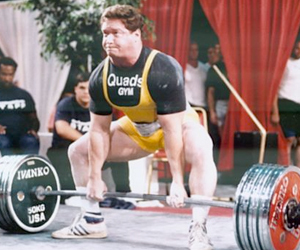 The best powerlifter of all-time, Ed Coan, made every squat look the same. Knowing you are creature of habit is a large responsibility but one that can be used as a synergetic force in your acquisition of excellence. On the flip side, the person with a drinking problem, an emotional overeating problem, or someone who has had problems choking when the game is on the line, is also a creature of habit, just non-productive habits. The good news is you can change habits for better or worse—this is exciting for “possibility thinkers” because there are no limits. But if you believe the wind of circumstances determines your fate—this info is scary. Remember, you have the power to change; if you create non-useful habits you can also create useful habits. Everyone has habits that can benefit from change. I am going to show you ways to eliminate bad habits. 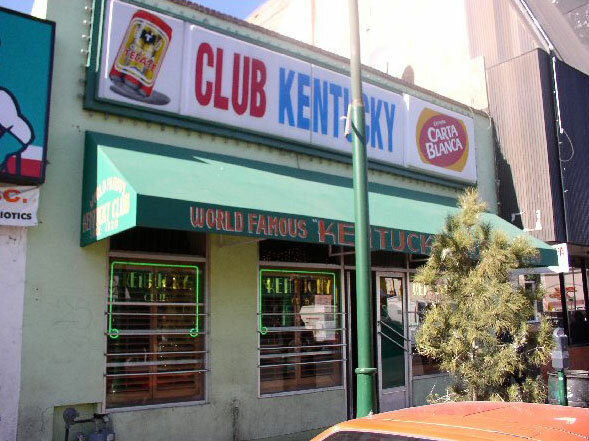 Avoid the Kentucky Club in Ciudad Juarez if you have a drinking problem. Identify—who, what, why, when and where. 1) Are you more likely to engage in negative talk about others, or in general, when you are around certain people? 2) What emotions encourage your worst habits? Drinking to excess could be celebratory or drowning your sorrows—find what emotions cause your bad habits to tick. 3) Who are you around when you experience these emotions? Is it a certain time of day, a certain person, a certain TV show? Figure out the trigger for these emotions. 4) Examine your daily routine from what you do to what you say. Furthermore, identify what situations cause the manifestation of bad habits. Write down your answers to these four questions and you are on the way because identification ignites awareness. Want to lose weight? Don’t just quit buying junk food, throw away what you have. If you live out in the country BURN IT, it will be even more powerful. Extreme—yes! But so are habits. Eliminate and destroy enablers! As a teenager, I trained at a gym that was next to a building where people outside were smoking like chimneys or drinking coffee like it was going out of style. Come to find out, this was an Alcoholics Anonymous Chapter; cigarettes and coffee replaced the “sauce”. If you are drinking a six pack of coke a day and want to stop, try substituting it for water with lemon in it. Replace watching TV with reading books that can help you improve as a human being. Like to dip snuff? Probably because you like the feeling of that moist tobacco in your mouth, since it’s an oral fixation try chewing gum. It’s more effective to know why you embrace a bad habit—if you like chips for the “crunch”, carrots are a better alternative than a banana. Swap a bad habit for a healthy alternative that will spark improvement. Some people benefit best from easing away from a bad habit. This is a legitimate approach assuming the bad habit is not seriously destructive. For instance, giving up coffee you could switch from half-decaf/half-regular, to eventually black tea and ultimately off tea. This will eliminate brain fog and headaches. Not ready to embrace a full-on diet? Small things like eliminating sodas can make a huge difference. Theoretically, this makes sense BUT most people are less “moderate” than they believe. In fact, one study showed that obese people overwhelmingly under report what they eat; either by wishful thinking or dishonesty, who the hell cares– we are after results. Easing in is productive if the bad habit is not one that opposes serious risk to you or others around you. G. Gordon Liddy, the only person not to “rat” in the Watergate Scandal, even serving prison time for sticking to his values as a child, was afraid of the rodent-type of rats. To overcome this fear, Liddy caught a rat and ate it. BOOM! Fear gone. Some psychologists call this technique flooding. Jumping in is much like flooding. To quit smoking, stop now! No weaning, deal with withdrawals now and quit. The beginning will be painful but you will adjust before you know it. If making the “right” dietary choices is perennially sending you to “fat camp”, try Keto! 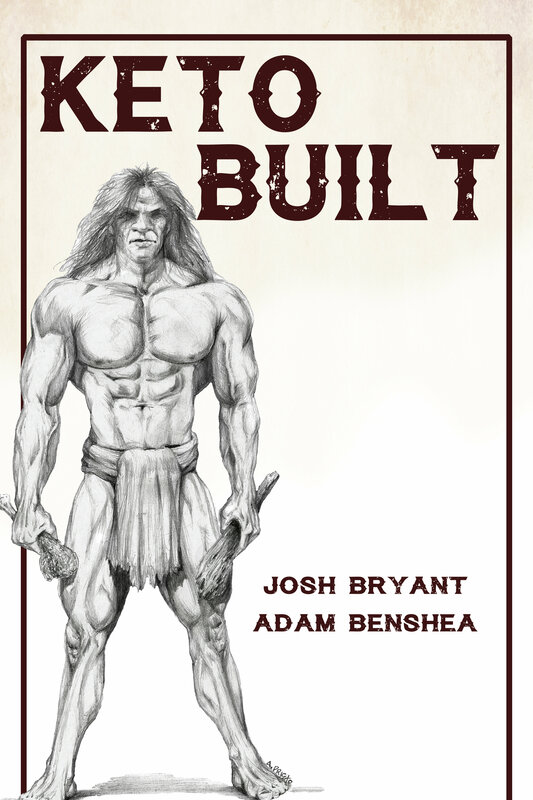 Grab Amazon #1 Seller, Keto Built, By Author Josh Bryant and Adam benShea HERE. Almighty God breathed his DNA into you and you are the pinnacle of his creation, created in his own image. With this son ship it means all things are possible! When you say, “I am” it needs to align with your highest self. Begin with your self-talk, change the words that you use to define yourself. As you define your self-image you get to choose the words you place into your imagination. Stop using scornful labels to cast disparagements on yourself. Save the “I am” for noble pursuits, the attainment of your highest self, not your worst habits. This will give you the freedom to lift yourself to never-imagined heights. I have a challenge for you. Every day when you urinate (so I am not adding any time to your day), say to yourself, “Every day, in every way, I’m getting better and better.” If no one is around say it out loud (say it in your head if people are). If you are like me and couldn’t give a flying flip, say out loud regardless. Do this for 30 days. See how you feel—please let me know. Human beings are creatures of habit, plain and simple. In the words of Socrates, “know thyself.” This will either serve as a catalyst to living your best life now or a door way to derelictry. Mindset is everything, start 2018 with a successful one. 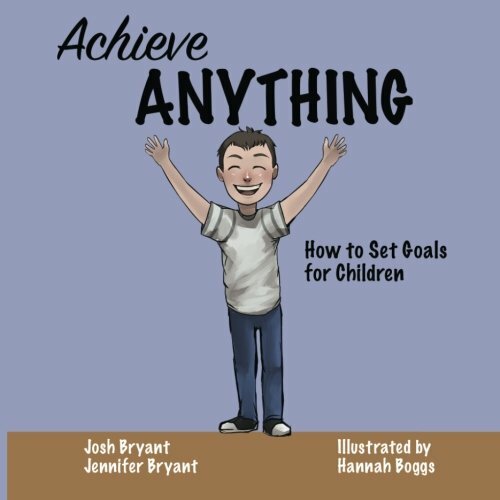 Josh and wife Jennifer feel so strongly about this they have recently co-authored a children’s goal-setting book Achieve Anything. Available for purchase on Amazon HERE.